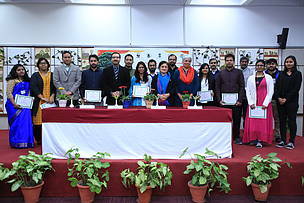 WWF ENVIS successfully conducted the Valedictory Function for its second batch and an inaugural session for its third batch for the Certificate Course on "Wildlife Management using Geospatial Techniques” under the Green Skill Development Programme of the Ministry of Environment, Forest and Climate Change, Government of India at WWF-India, ENVIS (RP) on 1st February 2019. The protection and conservation of environment needs to go beyond dissemination of information to environmental awareness and developing required skills for restoration of environment. Though skill development has been accorded priority at the national level, the shortage of skilled manpower in the areas of environment, forest, climate change and other related sectors, has not been addressed adequately, so far. It has been observed that a huge gap exists between the need (demand) and availability (supply) of skill sets, both cognitive and practical, at various levels in the Environment, Forest and Climate Change areas in India. However, most vocational training programmes focus on mechanical/technical skills rather than ‘soft’ skills or ‘green’ skills. These are unique skills can be acquired through specially designed academic course curricula and on-the-job training in long-term and short-term education programmes. In line with the Skill India Mission of the Government of India, the Ministry of Environment, Forest & Climate change (MoEF&CC) initiated the Green Skill Development Programme (GSDP). The Hon’ble Minister Dr. Harsh Vardhan, in the presence of Dr. Anandi Subramanian-Principal Advisor, Shri Yashvir Singh- Economic Adviser & Ms. Urmila-Joint Director, MoEF&CC had launched the Green Skill Development Programme (GSDP) on 14th May 2018. The GSDP has more than 44 certificate courses/training programmes on offer to skill enthusiasts, who are 18 years and above, as Masters Trainers (MTs)/Specialists across the country to enhance their green skills. WWF-India ENVIS Resource Partner (RP) has undertaken the certificate course on "Wildlife Management using Geospatial Techniques". In this context, WWF-India’s ENVIS RP had conducted a written entrance examination for the certificate course, and had finalized the candidates for three batches (30 candidates i.e. 10 candidates per batch) in the current FY 2018-2019. Economic Adviser, Shri Yashvir Singh had inaugurated the 1st batch of GSDP course on 1st October, 2018 in presence of Dr. G Areendran, ENVIS Coordinator, selected candidates and senior officials from WWF-India. The course aims to train the youth in utilizing the latest technology of remote sensing and GIS, which proves to be a valuable asset in wildlife conservation and monitoring. WWF ENVIS RP is pleased to announce the successful completion of the course by the first GSDP batch. 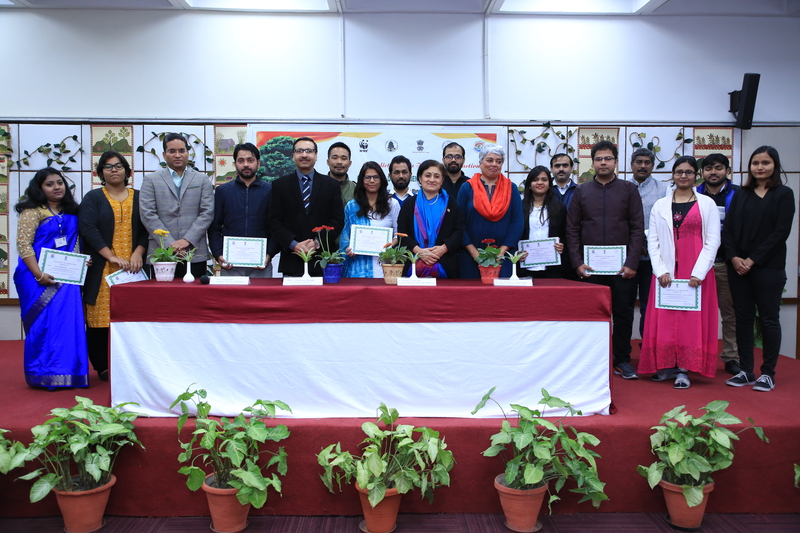 The Valedictory function of the second batch of GSDP was held on 1st February, 2019 at WWF-India Secretariat from 12.00 am to 1.00 pm, where all the successful candidates has received a certificate of recognition from the chief guest Shri Yashvir Singh, Economic Advisor, Ministry of Environment, Forest & Climate Change (MoEF&CC), Ms. Tilotama Varma, IPS, Additional Director, Wildlife Crime Control Bureau (WCCB), MoEF&CC, Mr. Vivek Kumar, Assistant Director, MoEF&CC, Dr. Sejal Worah, Programme Director, WWF-India & Dr. G. Areendran, Coordinator, ENVIS Centre, WWF-India. 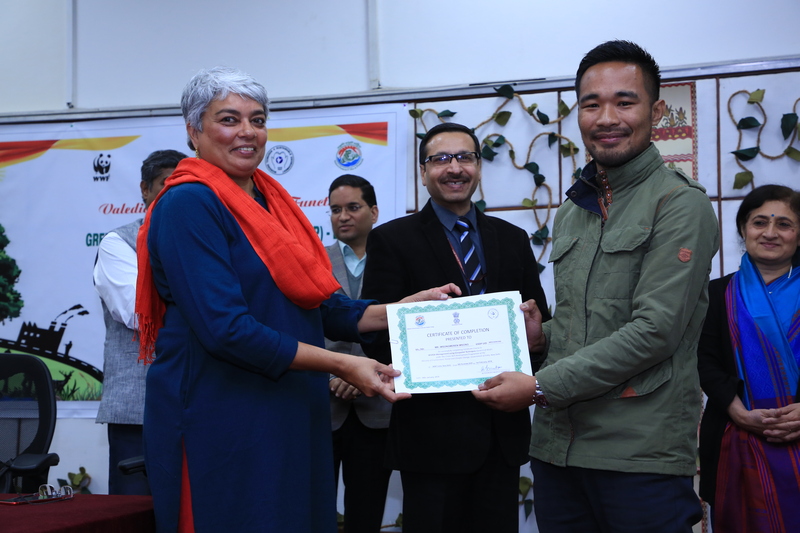 The programme was attended by various guest lecturers, officials of MoEF&CC, along with the representatives of the ENVIS RPs located in Delhi & WWF-India officials. The GSDP Course under the leadership of the WWF India, ENVIS Coordinator, Dr. G Areendran has already been reviewed for the third batch under the supervision of Shri Ravi Singh, Secretary General & CEO and Dr. Sejal Worah, Programme Director, WWF-India.